We know all you want for Christmas is Rally. Now you can look at this DirtFish onament on you tree and make your day dreams a little brighter. 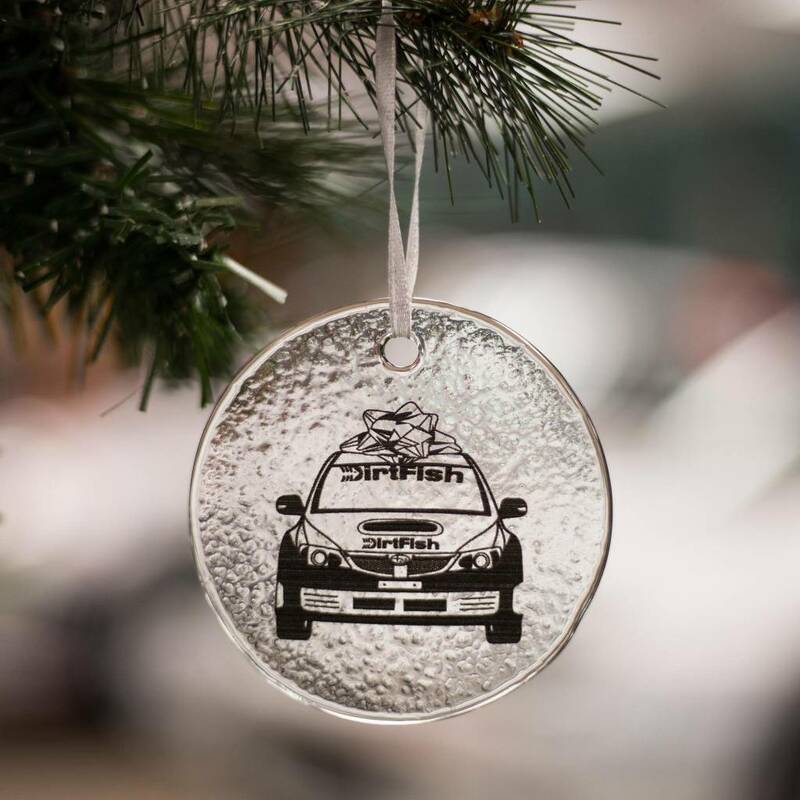 This beautiful hammered glass ornament has been printed with one of our very own cars! It even comes with its own case for safe keeping!